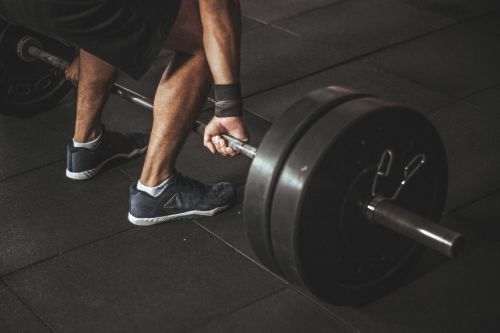 Strength training exercises are often performed by individuals to build the anaerobic endurance and the in general, the overall strength of the body. Along with these two obvious benefits, including strength training in your regular workout program boosts the general physical health and might even improve the sports performance. With all these benefits, it is imperative that everyone includes strength training as a part of their workout routine. Training with free weights is the most common form of strength training as they not only tone the target muscles but also tone a host of stabilisation muscles for a balanced workout. However, one could achieve similar benefits with a couple of bodyweight exercises as well and should strike a balance between the two. Nevertheless, have a healthy diet that is rich in lean protein while on strength training as it quintessential of muscle building and recovery. Let us not wait any longer and look closer at the five exercises that you could add to your training program to improve your overall strength. As the name says, the exercise activates the chest muscles with increased accuracy while also toning the biceps, triceps and the shoulders. In addition, the inclusion of the Swiss ball ensures better activation of the abdominal muscles. Step 1: Hold dumbbells in both the arms with a pronated grip and lie down on a Swiss ball such that the upper back and the shoulders are in good contact with it. The thighs must be parallel to the ground while the lower portion of the legs must be perpendicular to the floor. Place the dumbbells in front of the chest with fully extended arms. Step 2: Slowly, with a stationary torso, bring the dumbbells towards the chest until the elbows are in line with the shoulders. Step 3: Pause for a second and return to the starting position. Important tip: Ensure that the elbows are close to the body throughout the duration of the exercise.